Vision board parties can be a time to celebrate your wins for the past year and get super excited about the year to come. As the host of the party, you want to make sure your attendees have all the inspiration they're going to need to effectively map out all of their goals. A vision board is used to visualize everything that you want to accomplish so if someone wants to become a ballerina, you should have magazines that will speak to that. If someone wants to change their financial situation (ex. make more money, invest more, save more or anything else that concerns they're finances) then you want to make sure you have lots money magazines on hand. People often set is health and fitness goals during these events so make sure you have a few health and fitness magazines that feature all shapes and sizes. If you are hosting a large vision board party with 10 to 20 people attending, the number of magazines you need can really start to add up. You will need games for every area of a person's life ( health and fitness, personal finance, education, spirituality, family, and relationships parentheses ) and you'll need several of each to keep the inspiration flowing. So, where exactly do people start to put together 20-50 magazines? If you are just going to pick up 50 magazines from Walmart ( which can cost anywhere from 3.99 to 5.99 per magazine) the cost can escalate quickly. Start planning where to get your magazine early on in your party planning career to get the best deal. Instead, ask attendees to bring their old magazines to the party. In the invitation, make a note that attendees are encouraged to bring old magazines. After people have RSVP'd, send a follow up email a few days before the event starts reminding them to bring their magazines. I've done this several times in the past and each attendees has shown up with at least 2 or 3 magazines that were just lying around their house collecting dust. Some people will even show up with 10 or 20 magazines. This will be one of the easiest (and cheapest) ways to put together magazines for the party and everyone shares the cost. If everyone brings two to three magazines then you can have a really substantial vision board party with unlimited inspiration. Doctor's offices and nail salons will typically have several magazines in their waiting room or lounge area. This one could be a little scary because it's always difficult asking people you don't know for stuff, but this strategy does work. The next time you go into the doctor's office, simply ask the staff to give you a call when they swap out the magazines seasonally. This doesn't always work, but when it does you can end up with 50 magazines for free for absolutely no effort fees ( other than the gas you spend driving to the doctor's office to pick them up). This shouldn't be a surprise. You can buy literally everything on Amazon, magazines included. Using this annual subscription strategy, you can stack up 12 magazines by the end of the year for about $5. 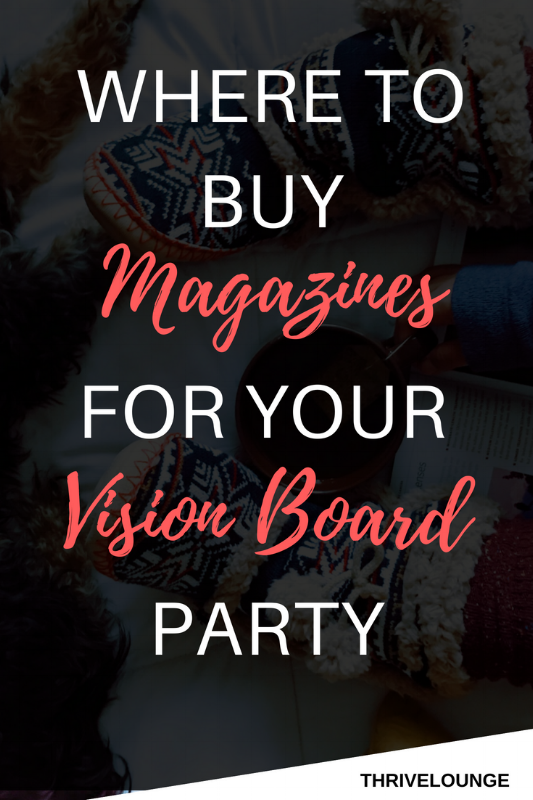 When it comes time to host your vision board party, you're not scrambling to find magazines last minute. You already have a huge stack of magazines to take with you! OfferUp is an online marketplace where you can connect with local buyers to purchase things that they no longer need or want. Often, people will have collected stacks of magazines through the years and when they're ready to just clean out their house or maybe if they're moving they literally give them all away. Finding one of these deals is very rare but if you at least join the platform you'll be able to monitor when these types of special deals come up and land a huge number magazines in a short amount of time. I would recommend just opening an account to offer up to see what people are giving away for free. Under no circumstance do I recommend anyone going to any of these places to purchase magazines. You will end up spending an exorbitant amount of money for the same thing that you can get for super cheap with proper planning. The only acceptable reason to spend $3 per magazine is if you're in the car on the way to the party and you realize you don't have magazines and the only thing on the way between you and this party Walmart. In that case, definitely go to Walmart because you cannot show up at a vision board party with no magazines. Short of that you should always plan in advance to get magazines at a cheaper cost. Magazines are the foundation of the vision board. It helps people to articulate what they want into images and quotes and it follows them throughout the year to help them visualize what they want to become that year. 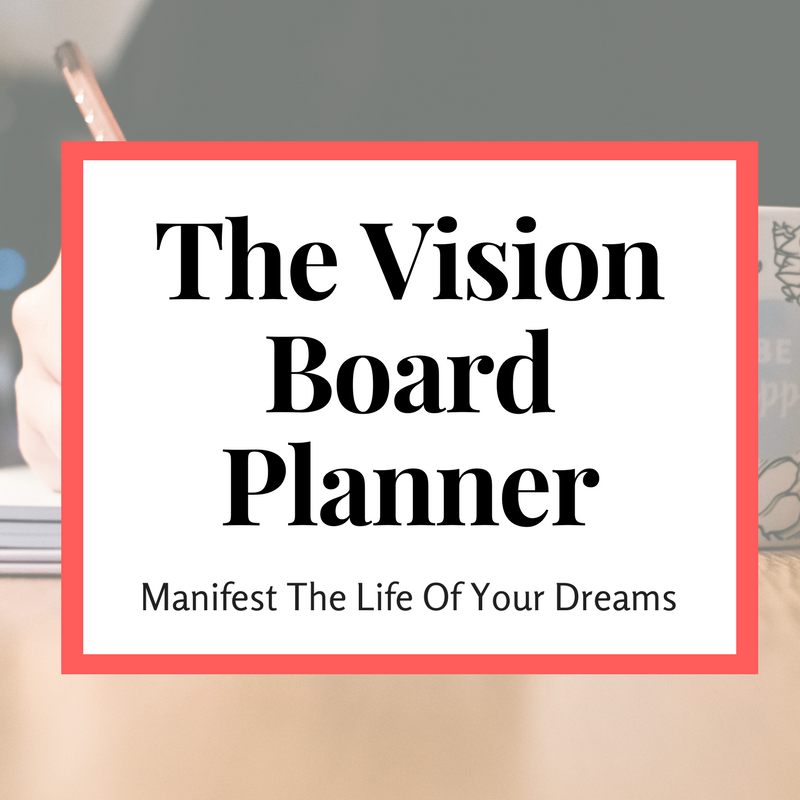 Your job as the vision board party host is to make sure that people have the inspiration they need to build the vision board that will transform their life. Older PostWhat Materials Do You Need To Create A Vision Board?